A court in Germany granted a request for an injunction against HTC, resulting in the possibility that the manufacturer will not be allowed to sell its handsets through Deutsche Telekom. Acacia Research, a patent licensing firm, had won a lawsuit against Deutsche Telekom on November 27th in Germany’s Mannheim District Court. As a result of that victory, Acacia was granted an injunction against HTC. The injunction will take effect later this month, according to Acacia Executive Vice President David Rosmann. The executive stated that the lawsuit was filed by his company against Deutsche Telekom last year in reference to standard essential patents used in voice coding. Acacia has signed licensing deals with Apple, Samsung, Amazon and Huawei, but not with HTC. Deutsche Telekom has confirmed that the injunction has been granted, but for the moment the mobile operator is still selling HTC models on its online store. Neither HTC or Acacia's Rosmann would say whether they are presently in licensing talks. 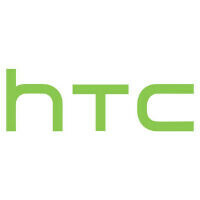 HTC says it plans to appeal the ruling, and is working with Deutsche Telekom to minimize any disruptions. You might recall that back in 2012, the HTC One X for AT&T and the HTC EVO 4G LTE for Sprint were not allowed to enter the U.S. border for a period of time. A patent infringement suit won by Apple led the ITC to issue an exclusion order that temporarily banned the models from being sold in the U.S.